Columbia Manufacturing specializes in make-to-print, as well as FAA/EASA rated overhaul and repair, of welded sheet metal fabrications for ground and flight turbine engines. We have a multitude of processes in house which allows us to offer competitive pricing and fast turn times. 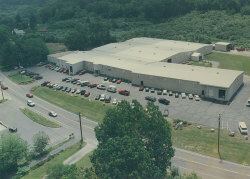 *	Located in Columbia, CT *	Established in 1980 *	Over 80 skilled technicians *	Two shift operation *	100,000 sq. ft. facility. 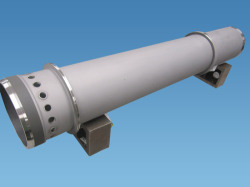 Manufacture of new components as well as overhaul and repair of ground and flight components. 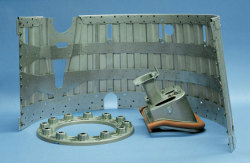 Titanium hot forming, sheet metal fabrication and assembly.